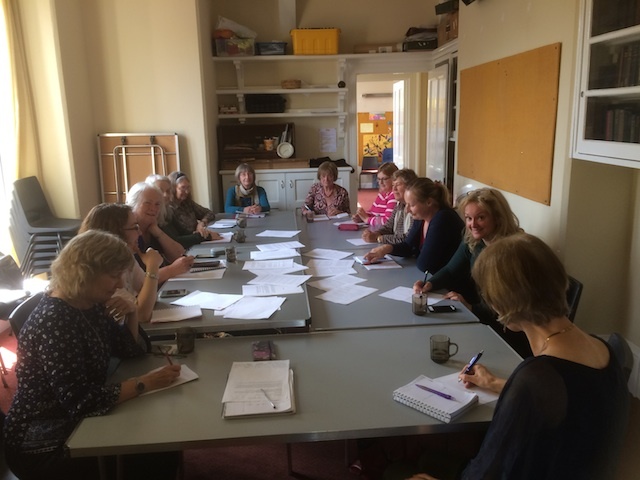 Exeter Writers: What have the Exeter Writers been up to this year? Cherry Gilchrist is currently working on a re-write of Circle of Nine: The Feminine Psyche Revealed through Nine Contemporary Archetypes. Red Wheel Weiser in the USA will publish it in 2018 as a follow-on to Cherry’s book Tarot Triumphs (2016). Cherry has also had an article on shamanism published in Quest magazine, and has been teaching her own online creative writing courses for the University of Exeter. Elizabeth Ducie's thriller, Counterfeit! was published in July 2016. She completed NaNoWriMo for the fourth time, and continues to publish 12 issues a year of Chudleigh Phoenix Community Magazine, and play an active part in organising the Chudleigh Literary Festival. 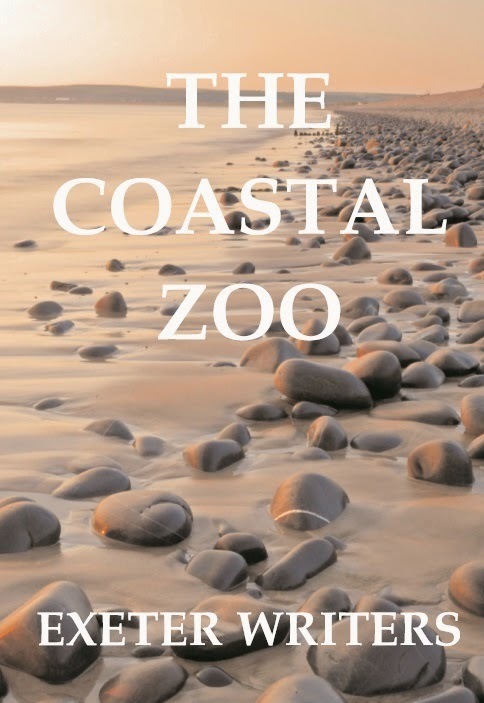 She also appeared at Plymouth literary festival and Dartington Ways with Words. She presented Pause for Thought on BBC Radio Devon for the third time in February, and has been interviewed on Riviera FM, Tiverton Community Radio and 10Radio. Margaret James' latest novel, Girl in Red Velvet, was published in April. Margaret continues to write her monthly Fiction Focus and Author Profile columns in Writing Magazine. The Creative Writing Student’s Handbook, which she wrote with fellow Exeter Writers member Cathie Hartigan, continues to be an Amazon bestseller, having reached number 1 in its category in the UK, France and Germany. Cathie Hartigan appeared at Plymouth, Ilminster and Tiverton literary festivals, had a photo shoot and book signing at RAMM, which is now stocking her book, The Secret of the Song. Cathie has also been interviewed on The Voice (Barnstaple) and Tiverton Community Radio. Hayley Jones joined Exeter Writers after her story, Things I Have Wasted Money On, won our Devon Prize last year. This story was also a finalist in the Aesthetica 2017 Creative Writing Award and was published in their 2017 Creative Writing Annual. Her short story, Misreading The Signs was placed 3rd in the Erewash Writers’ open short story competition. Angela Wooldridge has had stories published in The People’s Friend and My Weekly. She also had a story featured in the Indie Advent Calendar, and another shortlisted in Writing Magazine. She co-hosted the October blog hop for the Insecure Writers Support Group, and completed Nanowrimo for the first time. Richard Handy has completed his second novel in the Reich Device series, and hopes to publish it this autumn. The first volume was featured on One Giant Read/Literature Works, in which astronauts were doing readings in space! Su Bristow’s novel Sealskin was published by Orenda Books as an ebook just before Christmas 2016, and had two paperback launches in March, one in London and one at the presentation of the fourth Exeter Novel Prize awards. She has been interviewed on The Voice (Barnstaple), Tiverton Community Radio and – the big one – The Arts Show with Jonathan Ross on Radio 2. Su also appeared at Tiverton Literary Festival, and gave a talk at Okehampton library. N. Sian Southern had two stories shortlisted in Writing Magazine, and a third story commended. Her aim next year is to do all the homework assignments, since all three stories originated from homework! Gill Barr has been sharing her poetry with various groups and performing public poetry readings for a wider audience. Sophie Duffy is working on her fourth novel, Betsy and Lilibet. In the run-up to her 50th birthday, she is aiming to review 100 novels written by women in the 20th century. Pete Simpson's play, Lab Wars, was read and critiqued by Actors and Writers of London.